The Technische Universität München (TUM) has earned a high international reputation that is apparent from research collaborations with more than 140 partner Universities, and its involvement in more than 100 EU projects, 500 projects financed by the German Federal Ministry of Science and in 20 special research programs financed by the German Research Society (DFG). TUM pursues a sustainable strategy of promoting high quality research and supports scientists at each stage of career development. It received the highest prize for its concept “Entrepreneurial University” in the “Excellence Initiative” competition by the German Federal and State Governments. It founded the Institute for Advanced Study (IAS) in order to support scientific creativity and set up Clusters of Excellence and Graduate Schools in many scientific fields. TUM's outstanding, internationally acclaimed scientists are provided with a working environment that supports the evolution of highly innovative, adventurous projects in a context of “knowledge exchange”. Research groups will benefit from the TUM International Graduate School of Science and Engineering which facilitates excellent interdisciplinary research qualifications and supports PhD work in Science and Engineering. TUM’s 13 faculties provide an excellent environment for research and for the education of 37,343 students, one third of them women. The university has a budget of EUR 1,203 million, which includes the university hospital, 3 Integrative Research Centers, 6 Corporate Research Centers, 9,876 staff members, and 411 buildings. 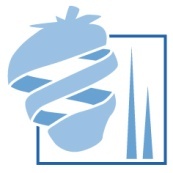 Within the GoodBerry project, TUM performs the analysis of allergens and the polyphenol profiles of fruits produced by the F1-genotypes. The TUM group ‘Biotechnology of Natural Products’ works within the department Food and Nutrition at the Center of Life and Food Sciences, Land Use and Environment in Weihenstephan, Freising which pertains to TUM. The campus in Weihenstephan hosts groups working in plant genetics, plant metabolism, nutrition, food chemistry, food technology, crop protection, ecology and agricultural systems. The TUM group ‘Biotechnology of Natural Products’ has concentrated on investigating plant physiology using chemical-analytical, biochemical and molecular biological methods. Current activities focus on the biosynthesis and metabolism of terpenoids, 4-hydroxy-3(2H)-furanones, and flavonoids/anthocyanins as well as the biological function of allergens during strawberry fruit, grape, apple and tomato ripening. In a number of projects structural genes encoding for enzymes involved in the biosynthesis of flavor molecules as well as flavonoids have been cloned and functionally characterized. Recently, it was shown by TUM and UMA that strawberry allergens function in polyphenol biosynthesis during strawberry fruit ripening. Thus, TUM is well suited to perform metabolite profiling and allergen analysis of the segregating population and genetic resources.